During a recent Revolution Pro Wrestling event in Bristol, NJPW NEVER Openweight champion, Will Ospreay, sustained an unlikely injury. 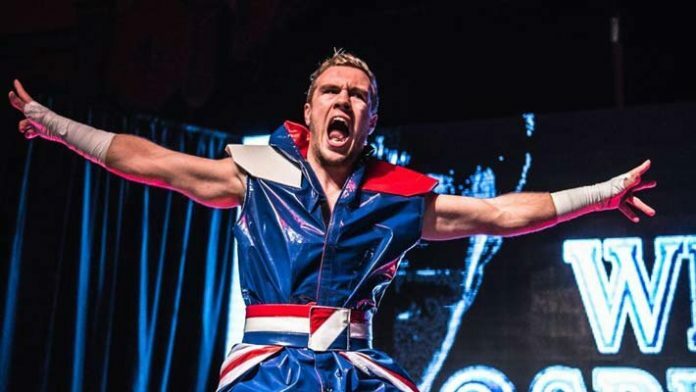 Current New Japan Pro Wrestling NEVER Openweight champion, Will Ospreay, has shared that he has recently sustained an injury. This occurred during a Revolution Pro Wrestling (Rev Pro) event in Bristol, England. Thankfully, however, the injury isn’t a major one — though still frustrating enough for Ospreay to tweet about via social media. Somehow, “The Sky King” managed to break his toe whilst taking an arm drag. He would follow up with a further update, highlighting that the “Bruising is coming out….as well as the bone not being in the right place”. This injury hasn’t stymied his enthusiasm over his upcoming match against PAC. The two will clash in a matchup for Rev Pro’s High Stakes 2019 show, which takes place on Friday, February 15th in York Hall, Bethnal Green, London. A toe injury, though not as serious as others that could be suffered, could still have an effect on Ospreay’s mobility, possibly forcing him to modify his arsenal against the wrestler formerly known as Neville. Despite this, Ospreay promises that “9 toes or 10 I’m gunna be at York Hall”. Will you be in attendance for this epic clash? Who do you think will come out on top, Ospreay or PAC?